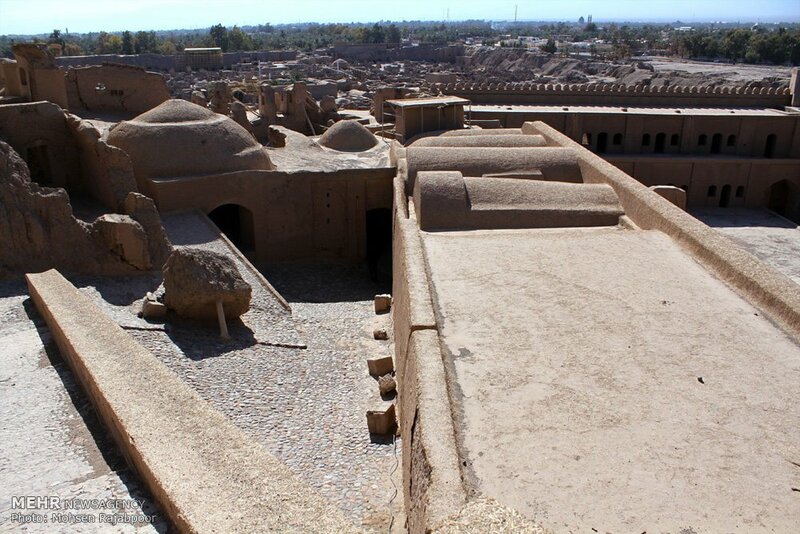 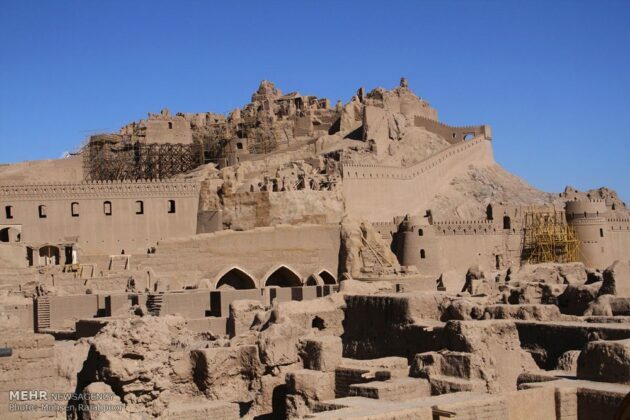 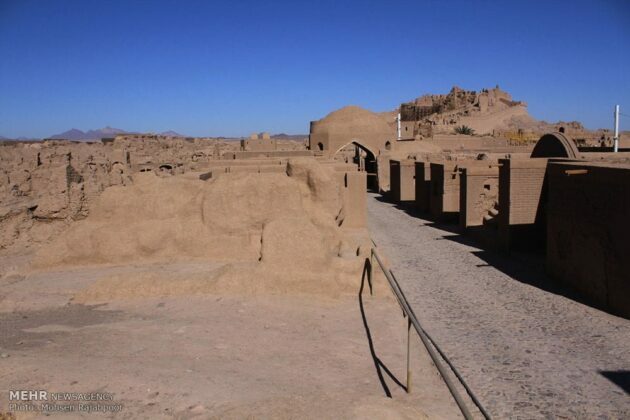 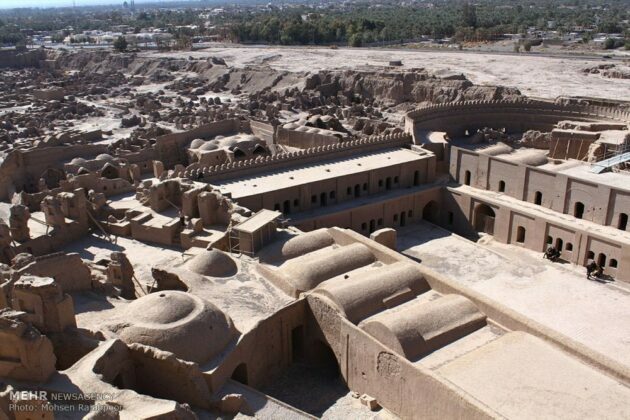 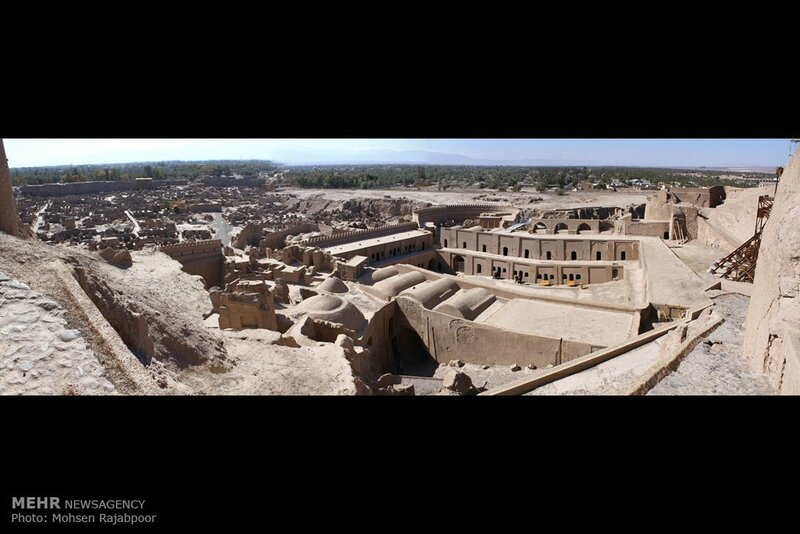 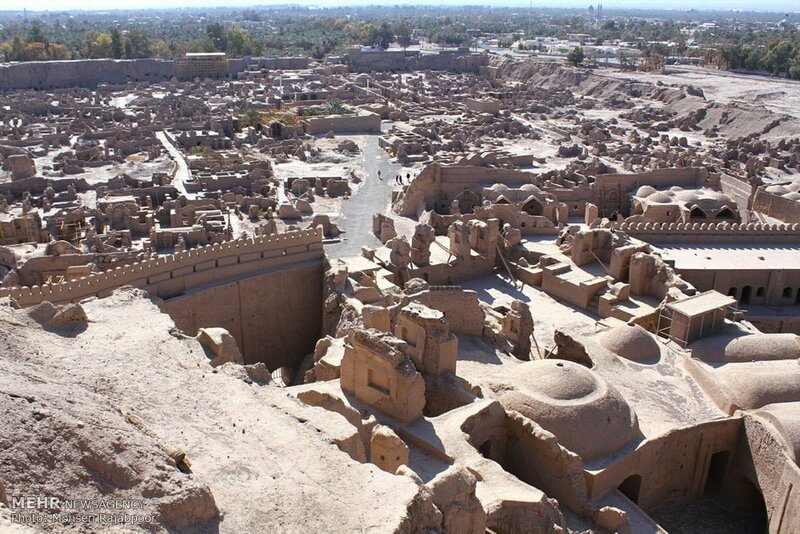 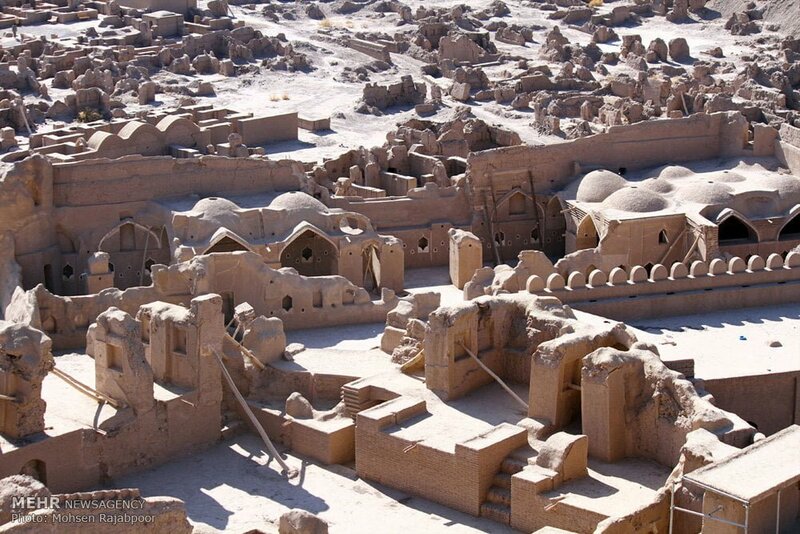 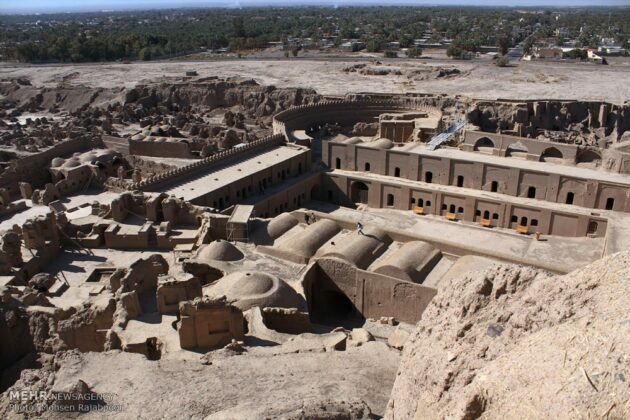 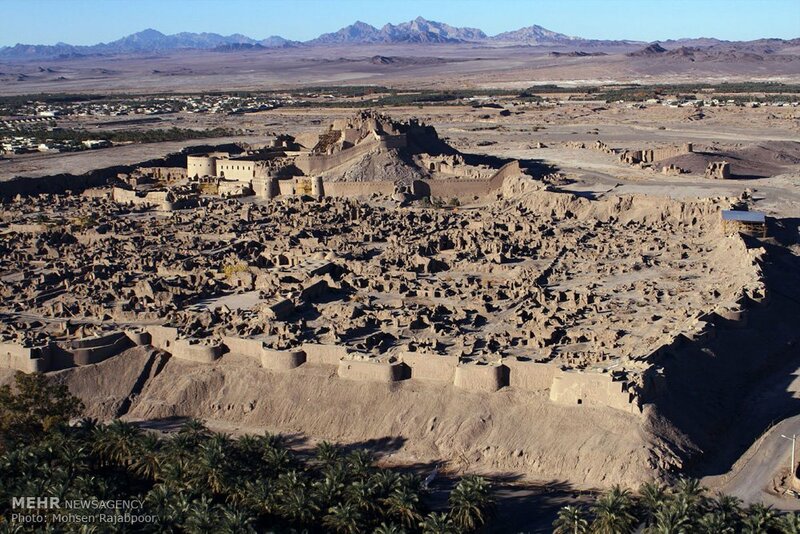 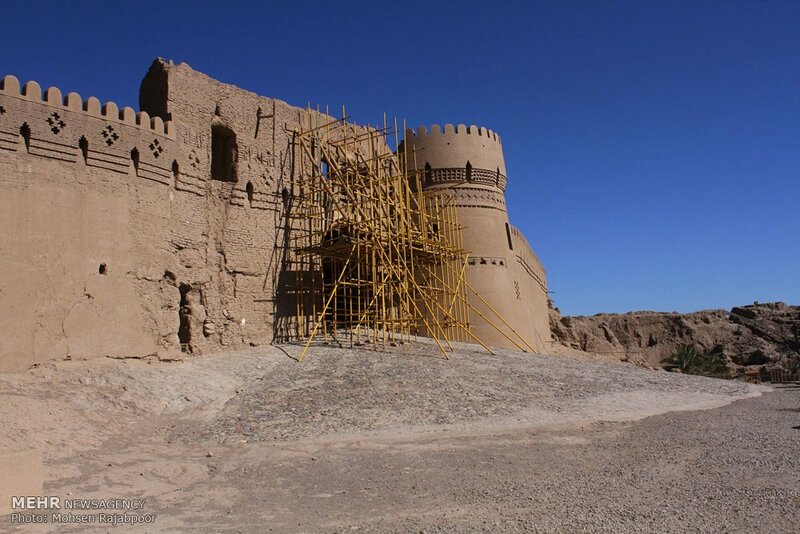 The Arg-e Bam or Bam Citadel is the largest adobe building in the world, located in Bam, a city in Kerman Province which was devastated in a deadly earthquake in 2003. 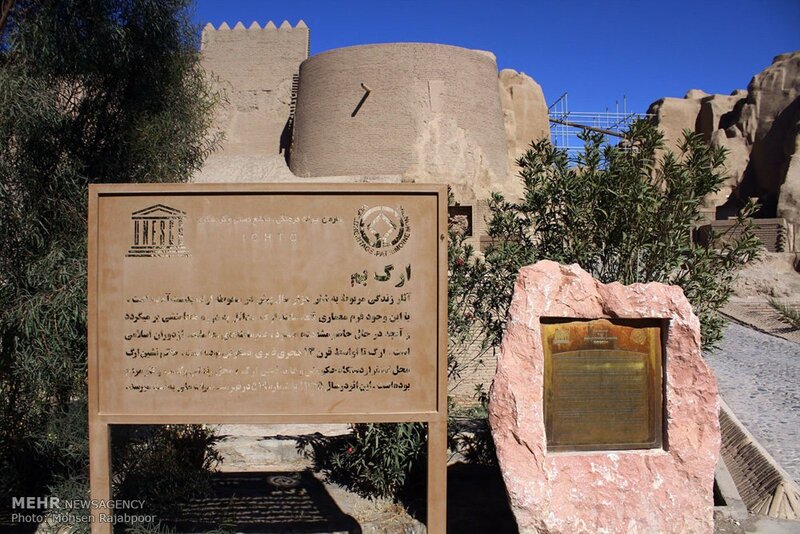 The historic building with an approximate area of 200,000 square metres has been listed by UNESCO as part of the World Heritage Site “Bam and Its Cultural Landscape”. 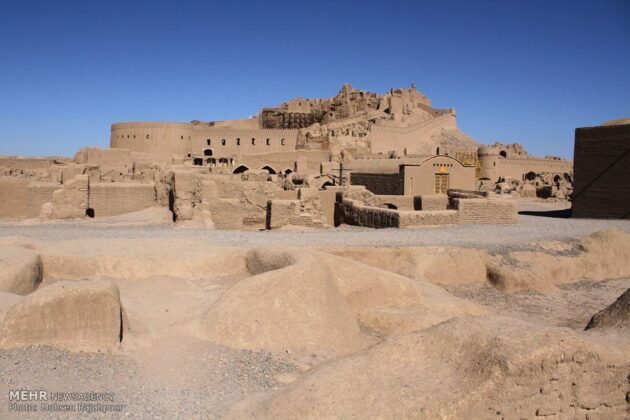 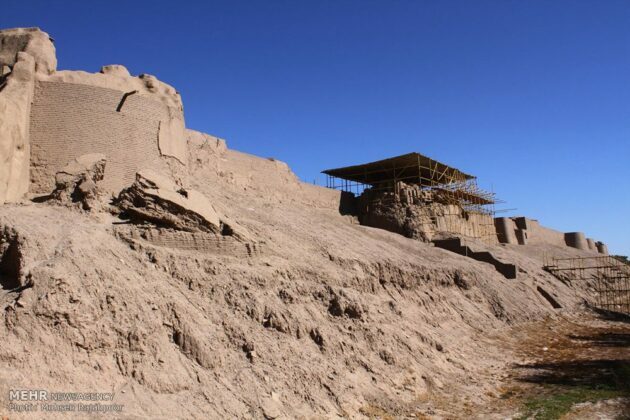 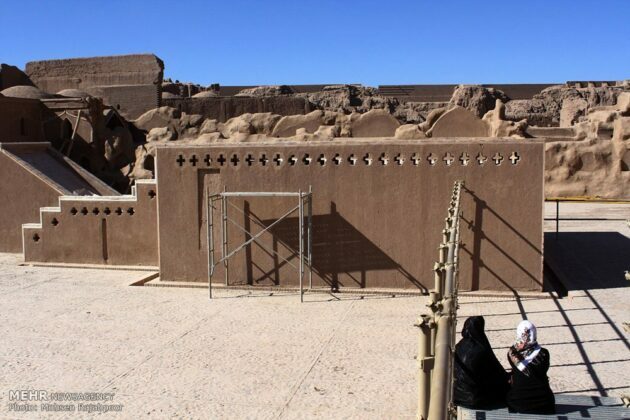 The origin of this enormous citadel on the Silk Road can be traced back to the Achaemenid Empire (sixth to fourth centuries BCE) and even beyond. 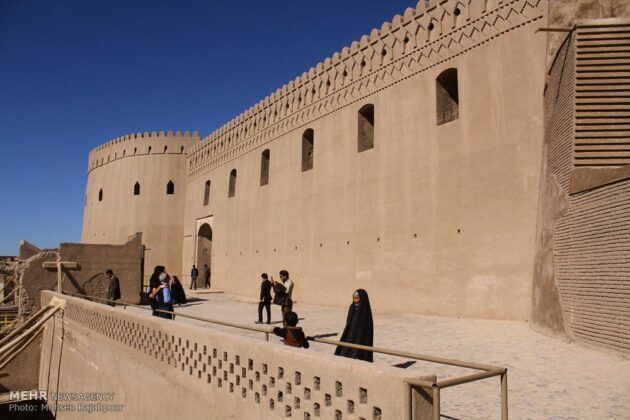 The entire building was a large fortress containing the citadel, but because of the impressive look of the citadel, which forms the highest point, the whole fortress is named the Bam Citadel. 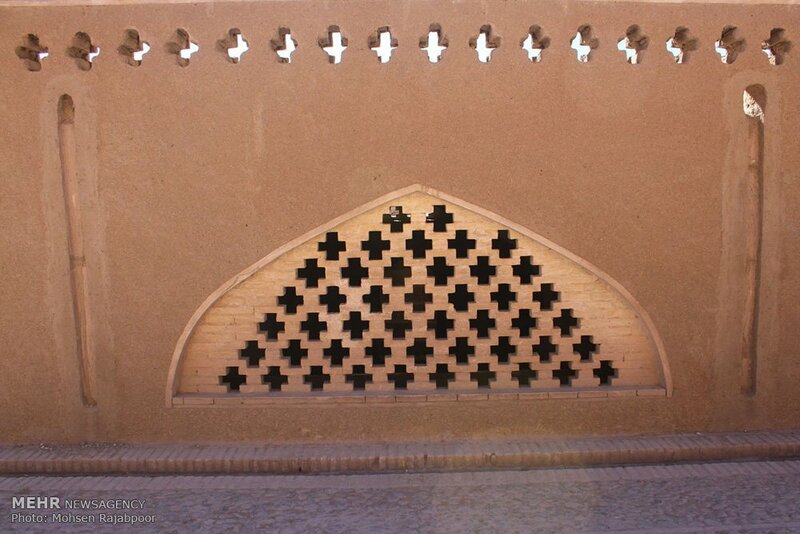 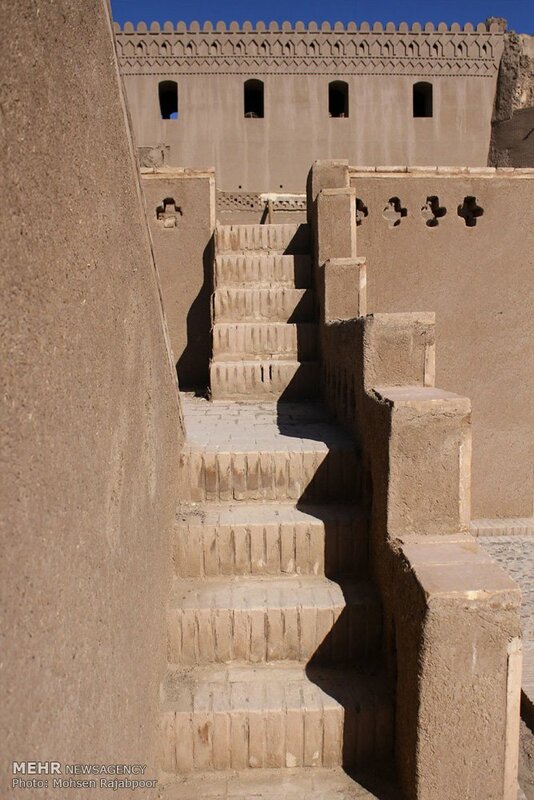 This historic citadel is made up of several architectural forms, including the walls, the tower, numerous gates, mosques, bazaars, caravanserais, schools, baths, zurkhaneh (sports place) and residential neighbourhoods. 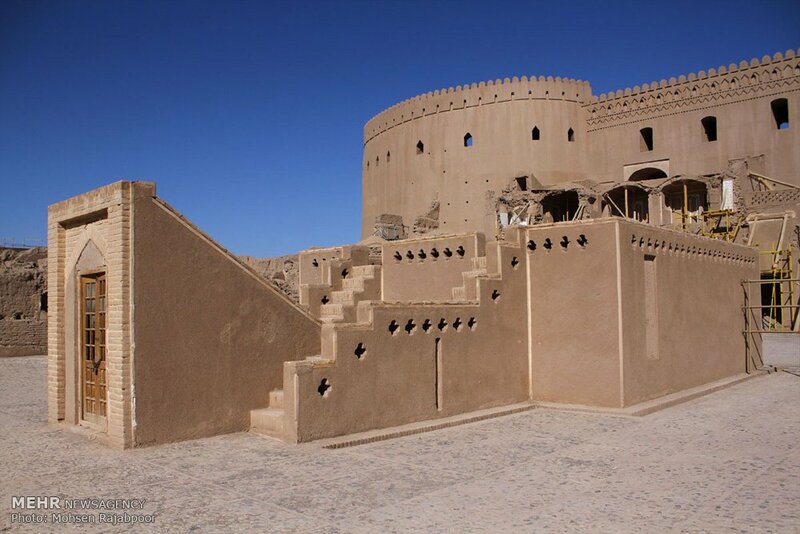 The rulers’ part in the most internal wall, holding the citadel, barracks, mill, 4-season house, water-well (dug in the rocky earth and about 40 metres deep), and a stable for 200 horses. 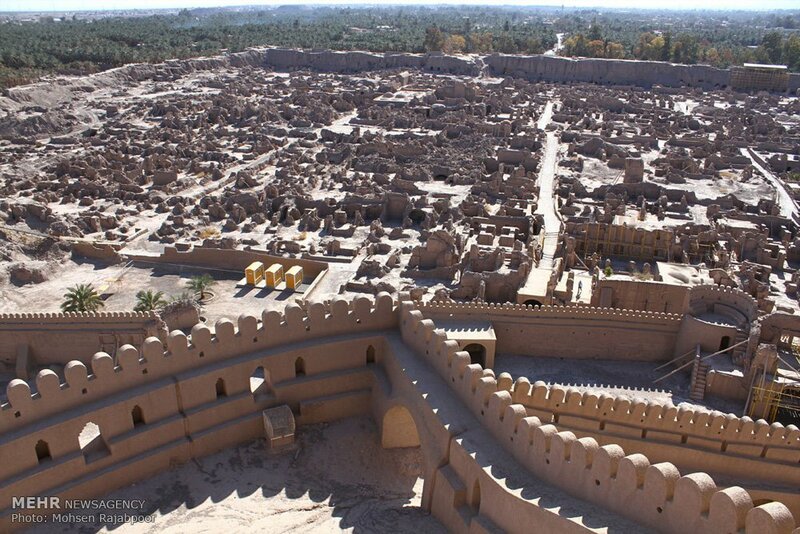 The ruled-over part surrounding the rulers’ place, consisting of the main entrance of the entire fortress-city and the bazaar alongside of the North-to-South spinal axis (which connects the main entrance to the citadel), and around 400 houses with their associated public buildings (such as a school and sport place). Arg-e Bam has 38 watchtowers and four entrance gates, and the outer defence wall is surrounded by a moat. 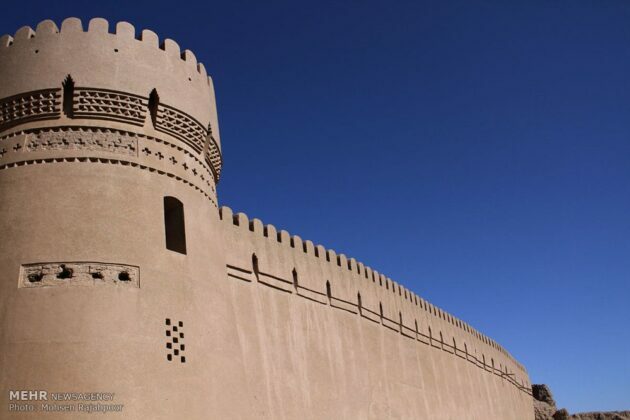 The Government Quarters are on a rocky hill, protected by a double fortification wall. 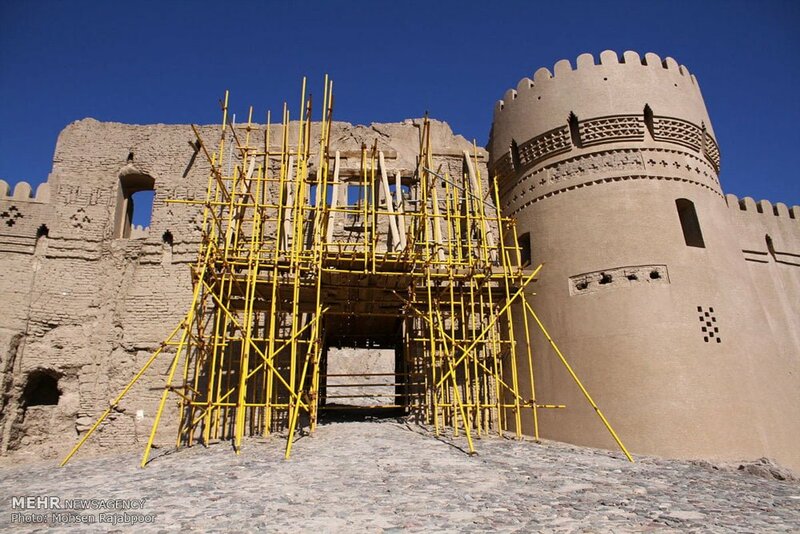 On December 26, 2003, the Citadel was almost completely destroyed by an earthquake, along with much of the rest of Bam and its environs, but it is now restored and the restoration process of this building goes through the end. 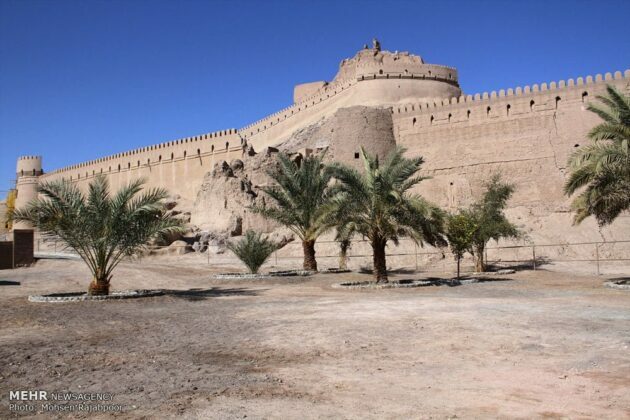 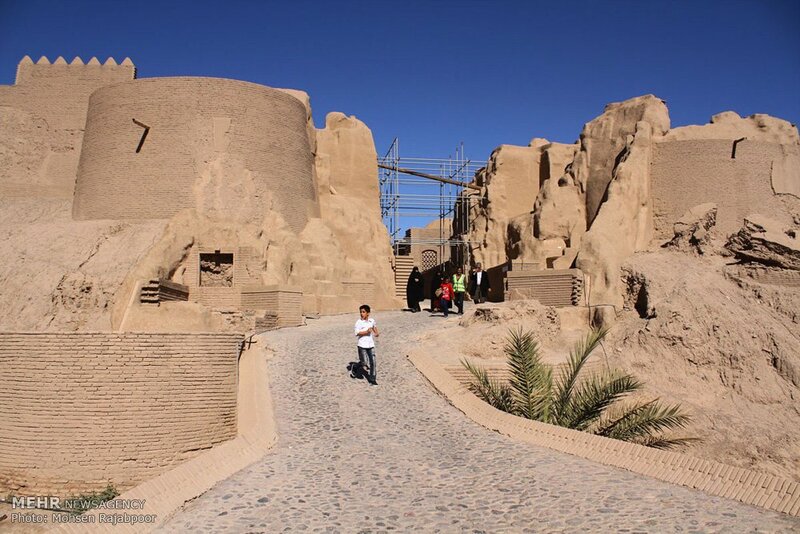 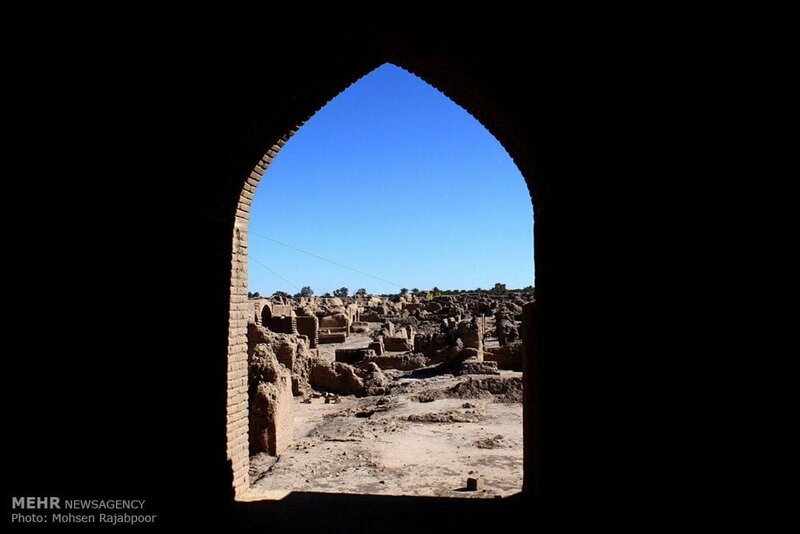 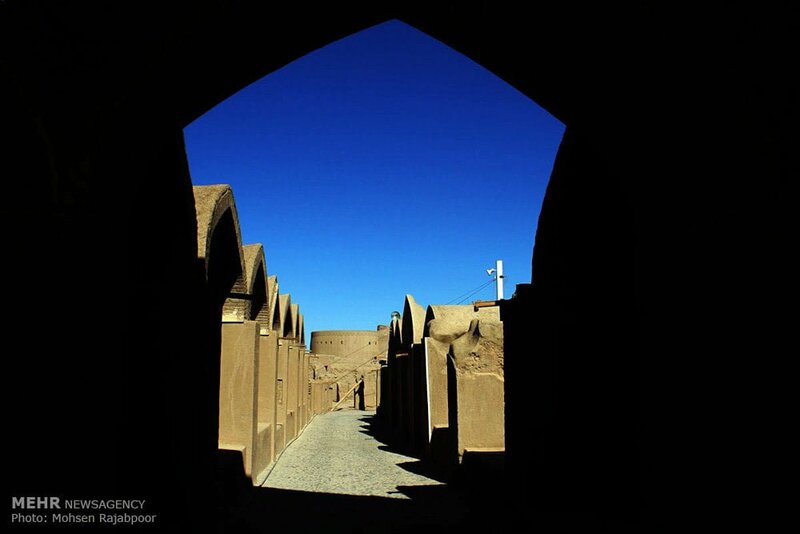 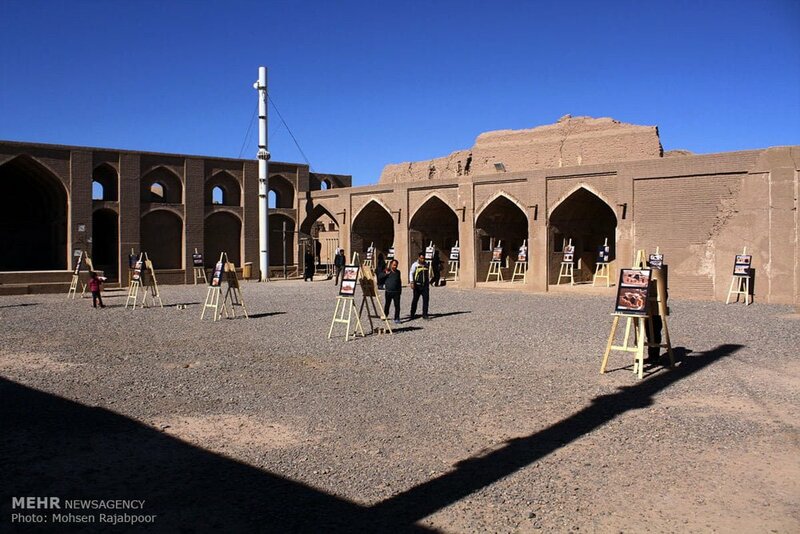 Bam Citadel has been referred to by Ferdowsi in his Shahnameh (Book of the Kings) for many times. 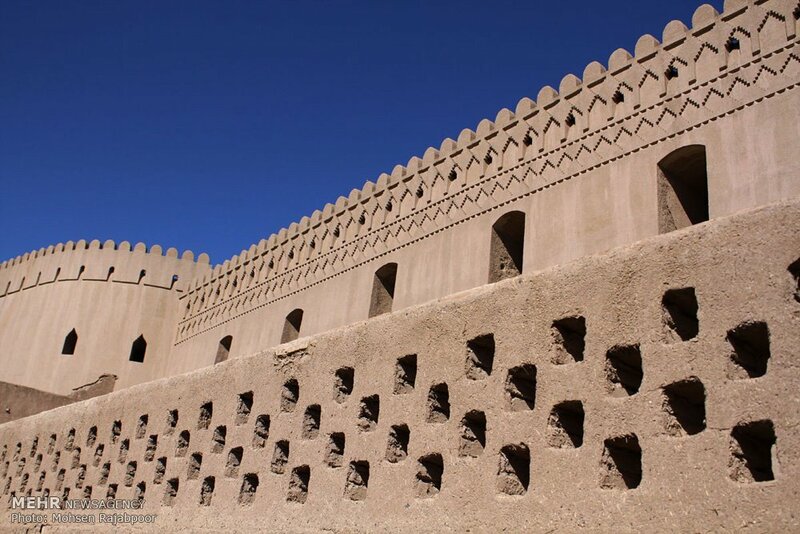 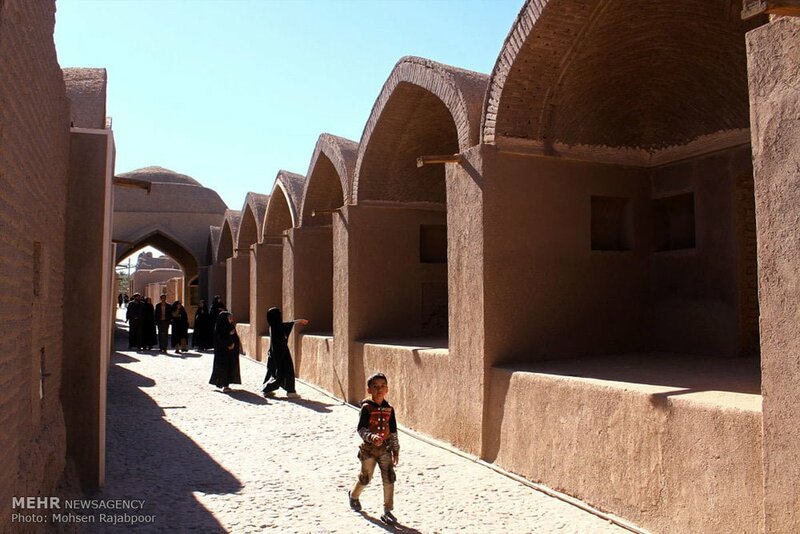 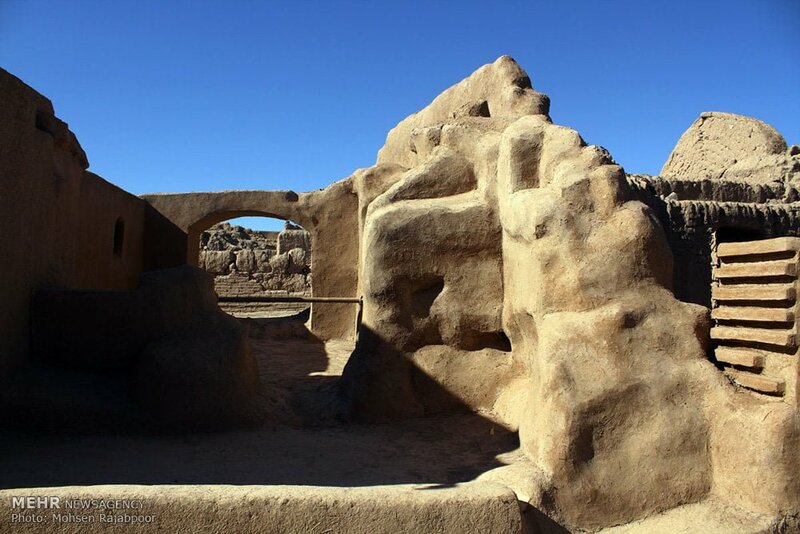 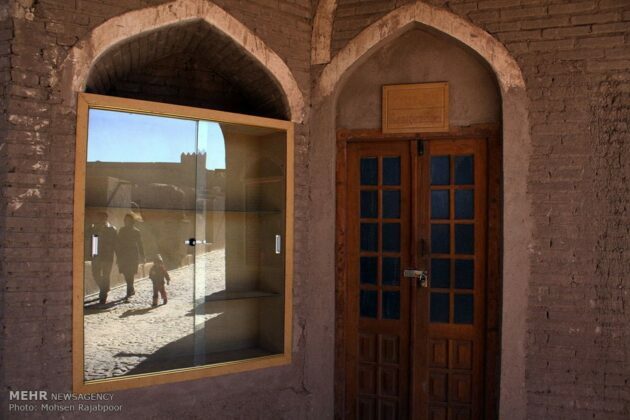 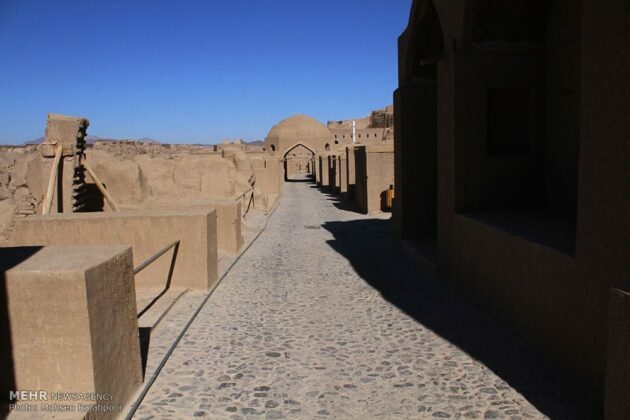 People used to live in the citadel until 150 years ago, and the last guardian of the castle, an elderly person, is still living in an eastern city of Kerman province called Rigan. The magnificent citadel is currently under major restoration following the devastating earthquake.